From our friends at Lusa Organics. We've partnered with them to sell them our regenerative and grass-fed beef tallow for them to make a Locavore Soap. Every year my son Sage and I plant a small herb garden. This year we added potted rosemary. The bright scent of our garden inspired this delicious combination. 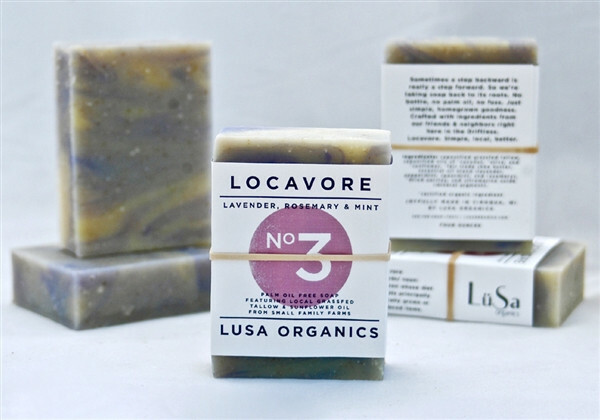 With spearmint, peppermint, and lavender, this soap is good enough to eat (well, almost). Sometimes a step backward is really a step forward. So we're taking soap back to its roots. No bottle, no palm oil, no fuss. Just simple, homegrown goodness. Crafted with ingredients from our friends and neighbors right here in the Driftless.